Economic malaise tends to affect every sector of the retail environment. When people have less money to spend, they buy fewer goods that are not absolute necessities. Fortunately for the hot beverage industry, people still consider things such as coffee and tea as daily necessities. Hot beverage growth around the world remains positive – even in geographic regions where other industries have stagnated. 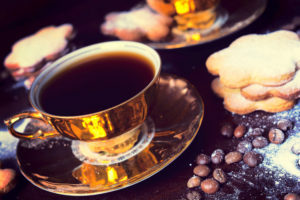 Every year, Euromonitor International publishes a comprehensive report outlining how well the hot beverage industry is doing. Their 2015 report was very positive. Not only are hot beverages continuing to enjoy a modest growth year after year, but consumers are becoming even more specific in the kinds of coffee and tea drinks they are looking for. Overall Growth – After peaking in 2010, the hot beverage industry has been attempting to recover from two-and-a-half years of lower volume and market value between 2011 and 2013. In 2015, overall growth rose 7% in off-trade value fueled primarily by hot tea. 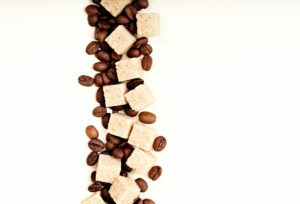 Also performing very well were malt-based hot drinks and certain coffees and teas that are deemed healthier. Strongest Markets – The strongest market for growth in 2015 for both coffee and tea was China. Their astonishing 5% growth was completely unexpected. Rounding out the top five were Brazil, the U.S., India, and Germany. Coffee Affordability – Data shows that coffee continues to do very well even in countries still suffering economically, primarily because it is so affordable. Brazil is a great example. Because Brazilian growers produce almost all of the coffee consumed in their country, growth continues even without hefty exports and a strong overall economy. Total Consumption – The 2015 data suggests that top line volume consumption of hot beverages should remain stable or grow slightly through 2016. Between now and 2020, indicators suggest additional growth of at least 3%. While growth in the hot tea category is being driven mainly by consumers looking for healthier alternatives, growth in coffee is still being dictated by the pod concept. Worldwide, coffee pods grew by 13% in 2015 – mainly due to the American preference for single cup brewers. However, ‘third wave’ coffee is coming on strong. Think of third wave coffee as the hot beverage equivalent of micro-brewed beer. Craft coffees are enjoying very robust growth in the U.S., the UK, and Japan particularly. These new kinds of coffees are addressing the consumer’s desire for better tasting coffee that can be enjoyed in the same way as a fine wine or gourmet chocolate. Hot beverages continue to be popular around the world regardless of geographic region or economic status. That is a good thing for us, being that we proudly serve the greater New York area with the region’s finest hot and cold beverage service. We hope you will consider Galaxie Coffee as your beverage service provider. We would welcome the opportunity to serve you and your staff. Coffee and tea are two unique beverages that are counted by many as more than just ‘something to drink’. In fact, there are countless coffee and tea rituals observed around the world that are more important than the drinks themselves. The social customs that accompany coffee and tea drinking are remarkable in both their value and longevity. We have done some research and come up with a handful of fascinating coffee and tea customs from around the world. Enjoy! We like to think of coffeehouses as uniquely American. They are not. Coffeehouses were around in Europe long before we were ever a country. In Vienna, the coffeehouse is an important part of the intellectual and arts scenes. People who take it seriously gather in coffeehouses like Café Landtmann and Café Hawelka where they would not even think about serving coffee if not accompanied by a rich pastry known as Sachertorte. In Brazil, it’s typical to start the day with a cup of café com leite then transition to a darker, stronger black cafezhino later in the day. The idea is to start out with a lighter coffee drink that includes plenty of milk as a calm and relaxing introduction to the early morning hours. The stronger coffee is enjoyed later in the day as the fatigue of work sets in. Touareg tea is a mint-flavored tea served in Morocco according to a very specific ritual. For example, three servings of the tea are served to guests in succession, with each new brew having a slightly different flavor. The tea is poured into special glasses that are part of the ritual. Refusing any of the three brews is considered terribly rude in Moroccan culture. A traditional tea in Russia would be the dark and strong Zavarka. This tea is brewed in a special metal container and then served to guests in large mugs used only for tea. However, it is so strong that drinkers only put a small amount in their mugs and then fill the rest with boiling water to take the edge off. You can drink it black or with milk and sugar as desired. This tea is rarely served without some sort of snack – like a cookie or crackers. Ethiopia is considered one of the birthplaces of coffee. As such, coffee preparation and consumption in Ethiopia is a spiritual experience with important religious significance. Coffee beans are roasted in a special ritual bowl then cooled on straw, ground, and prepared in a traditional clay pot. The serving cups are very small, and they have important spiritual significance. Here at Galaxie Coffee, we are always fascinated to learn how others enjoy their coffee and tea. No matter how you enjoy it, we have what you need for your office. We invite you to browse our entire inventory of beverages and breakroom supplies.